Brazil’s Banco Bradesco is planning to start trials for a blockchain-based digital wallet service, as it looks to streamline operations and reduce costs. The service is being developed by Brazilian start-up eWally, discovered via Bradesco’s own innovation programme InovaBRA. Marcelo Frontini, MD at Scopus IT and part of Bradesco’s innovation department, says trials should start by the end of 2016 and will begin in Sao Paulo. Frontini adds that the trials will integrate the service to payment points; and allow customers to withdraw cash, and make payments and deposits. Bradesco says it has more than 69 million customers for its banking and insurance services. It was founded in 1943 and has more than 4,500 branches and 63,000 points of service. Bradesco says it was the first bank in Latin America to deploy internet banking solutions and was also the first bank in Brazil to offer customers mobile banking solutions, biometrics at ATMs, cardless operations and mobile check deposits. Last month, Banco Bradesco joined New York-based R3 CEV’s blockchain consortium. 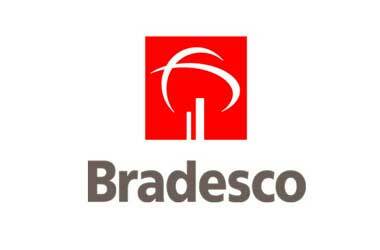 Bradesco will be collaborating with over 50 financial institutions to develop commercial applications for the financial services industry that use “appropriate elements of distributed and shared ledger technology”. R3 recently unveiled Corda, its shared ledger platform “specifically designed to record, manage and synchronise financial agreements between regulated financial institutions”. R3 says it is “heavily inspired by and captures the benefits of blockchain systems, without the design choices that make blockchains inappropriate for many banking scenarios”. Planned service between Japan and Brazil will use Ripple’s technology. Love lingers as they plan to expand commercial relationship in Brazil.